Slide to Digital in Manhattan, NYC. Slide Scan, Slide to Jpeg in New York. What is "Slide to Jpg file ", "Slide to Digital" or "Scan Slide"? Do I need Hi Resolution Slide Scan or Basic Slide Scan is fine? Is Tiff file better than Jpg file ? Should I copy slides in Jpeg or Tiff ? How long does it take for "Slide to digital file conversion"? FAQ about our Slide Scan Service in NY - here. Doi Camera is the New York's best full service digital conversion lab. 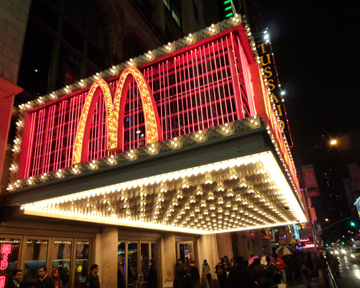 by our white glove technicians, right here in NYC. No slides will be sent out. What is "Slide Scan", "Slide to Digital" or "Digitize Slide" mean? 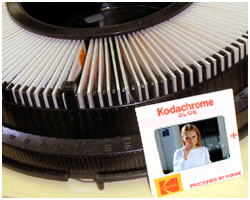 "Slide Scanning" is a method that turns a slide into a digital file. 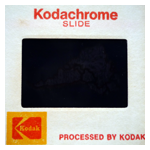 The whole process of turning slide to digital file is called "Digitizing Slides". Archive slides and preserve for generations to come. Emergency preparedness. 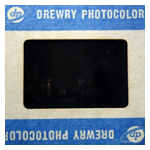 Have your old slide images digitized and saved on-line. One DVD disc can hold the whole family photos. Memory sharing preparation for divorce, separation or children's marriage. A great gift idea for a birthday, reunion or anniversary. Enjoy watching old slides on a TV, otherwise you will never have a chance to see them. Play as a side show at a Wedding party or other family functions. 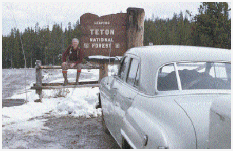 E-mail digitized old slide images, share them on a web site for a pleasant surprise. FREE Slide Dust and Scratch removal service! 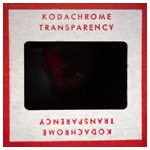 We will use Kodak's Digital ICE system on 35mm slides for removing dusts and scratches digitally without touching them. It's absolutely FREE - no additional charge to you. DIGITAL ICE technology automatically removes surface defects, such as dust and scratches, from a scanned image. DIGITAL ICE Technology differentiates itself from software-only solutions because it does not soften, blur or otherwise alter any underlying details or composition of the original image. Instead, the patented DIGITAL ICE Technology works from within the scanner, during the scanning process, to provide users with a clear, authentic base image that improves the original image. 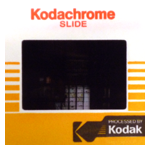 Digital Ice dust removal is an absolutely safe solution - it does not touch your slides at all. But it is not like Photoshop retouching. It will detect the dust on a slide and remove or reduce it on a digital image. DIGITAL ICE slide dust removal works well in general EXCEPT: Kodachrome Slides, B & W Slides or Glass-mount slides. 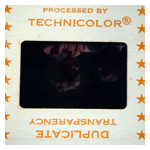 It does not work on 120, 4x5 or 8x10 transparencies. It is NOT the perfect solution. 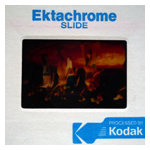 Not all dusts or scratches are removed from Ektachrome slides, but the most powerful slide dust removal solutions without damaging the original slides. actual size is 4" x 5"
Please see here for all other slide formats. 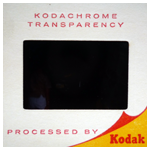 Please be cautious about some cheap slide scanning prices offered on the internet. 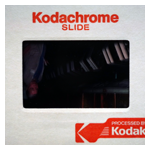 1) Your ad says "Slide Scan", but aren't you actually taking photos of the slides with a digital camera? 2) Does your slide scanning service come with Free dust removal and color correction on Ektachrome slides? 4) Are you rotate each slide one by one? At Doi Camera, our own white glove technicians are scanning your slides in house at our New York store. We will rotate your slide images one by one and clean up the slides as best as we can. How to select your best Slide Scan option - please click here. Basic Jpeg 1-25, Hi Res Jpeg 1-15, Basic Tiff 1-15 or Hi Res Tiff 1-11 slides are subject to minimum charge of $25.00. Otherwise requested, scanned files will be written on a CD or DVD disc. A CD can hold about 500 basic Jpeg, 85 Hi Res Jpeg, 55 basic Tiff or 10 Hi Res Tiff files. A DVD disc can hold about 3500 basic Jpeg, 600 Hi Res Jpeg, 300 basic Tiff or 65 Hi Res Tiff files. We can write scanned files on a USB Flash Drive with an extra cost of $9.95. 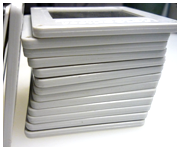 Slide removal from glass/metal mount, carousels or slide pages. Custom digital file handling - such as separate folders, custom file naming or sorting in particular manner. 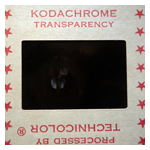 No Digital Ice dust removal on 120, 4x5 or 8x10 transparency scans (we will clean up with air blow). What exactly Tiff Slide Scan means? click here. What is the best Slide Scan option for you ? click here. How to select the best Slide Scanning option for you. 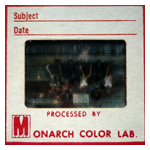 - Digitize slides to preserve for generations to come. - Enjoy on an HD TV, Tablet, Smart Phones, Computers (PC or Mac). - E-mail images, upload to website or Social media ( Instagram or FB). - Good for Powerpoint Presentation or any other documentation. - Print up to 5x7 size. - Hi quality digital archiving. - Much better quality than Basic slide scanning. - Good for Project presentation and Photo Editing. - Print up to 11 x 14. Note: Tiff slide file is not for everybody. - Tiff file slide scan is for graphic editing purpose only. - Please remember that you cannot E-mail Tiff files (too big). - Tiff is NOT for TV or computer viewing pleasure. - Tiff files need a reasonably powerful computer to handle. - Highest image quality you can get from your slides. 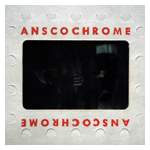 - Good for Hi quality lossless archiving and heavy photo editing. Select your best slide scanning option. Scan slides for documents such as Power Point, Word or PDF file - Basic plan. Digitize slides for Web sharing (such as FaceBook, Instagram) or E-mail- Basic plan. Slides to print up to 5 x 7 size with no cropping - Basic plan. Slides to print 8 x 10, 8 x 12 up to 11 x 14 size, or Photo Album- Hi Res in Jpeg option. Project slide image via Projector at a big room, archiving slides in good quality - Hi Res in Jpeg option. More details on Slide Scanning Options. There are two things that need your decision. One is Slide Scanning "Resolution", and another is "Digital File Format." Basic 2000 dpi or Hi Resolution 4000 dpi. DPI stands for Dot Per Inch, more dots per inch means more detailed info is captured when scanning. Higher resolution means better quality. 2000 dpi slide scan is equivalent to 300 dpi of a 4x6 print. 4000 dpi slide scan is 4 times bigger than 2000 dpi scan files. It is equivalent to 600 dpi of a 4x6 print, or 300 dpi of 8x10 prints. 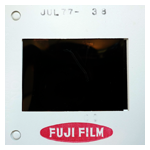 Among many "Digital Graphic files", the most popular formats in the world of Slide Scanning are Jpeg and Tiff. Jpeg (or often spelled Jpg) file is the most popular format of all. Jpeg is good for printing, Web-sharing(such as Facebook, Twitter, Dropbox), E-mail and archiving. You can also enjoy slide show on your big HD TV using a DVD player. Tiff file is different from Jpeg file mainly in two aspects. 1. Scanning method is different - please see here for more details. 2. The way scanned file is saved is different - Jpeg compress the files, Tiff doesn't and keep the original size. Note: Tiff file is not for everybody. It is a perfect solution for Hi Resolution Archiving or Slide Graphical Editing purposes. But Tiff file is too big for E-mail or Web-sharing. It does not play on DVD player as a slide show. Tiff doesn't work on Tablet or Smart Phones. Tiff file Slide Scan means that digitized scan images will be kept in lossless format throughout the scanning process from the original scanning to the end of saving process. In other word, from the beginning (digitizing slide image) to the end (file saving), the scanned slide file is kept uncompressed Tiff format. Jpeg is a compressed file format that after scanned the original file will be compressed to 1/10 to 1/20, and when viewed it will expand to its original file size again. Jpeg scan vs. Tiff scan is not a matter of how to save the files after scanning, rather, the whole process of scanning is different. Most consumer grade slide scanners are unable to scan in Tiff (uncompressed file) mode, because each digital file size could is very large. We've found some companies are offering Tiff Slide Scan by scanning in Jpeg and only saving in Tiff format. That's a kind of cheating. When we offer Tiff Slide Scanning, we do scan in uncompressed Tiff mode and save in Tiff. The scanned digital files remain lossless, uncompressed throughout the process. No refund. Because the CD/DVD we create can be easily copied at home. We will redo works when quality improvements is possible. Your original slides will be returned, but may NOT be in the same order as they were in carousels or pages. 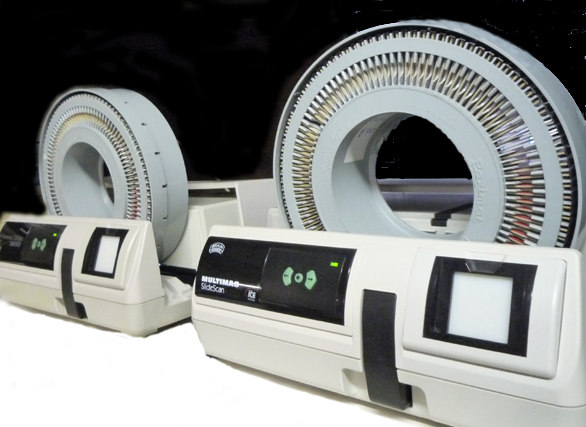 Special handling fee may apply for slide removal from slide carousels or slide pages. much more chance of dusts caught in the way. - No Digital Ice dust cleaning works. - Scanned slide image might (or might not) be slightly softer than normal slides. 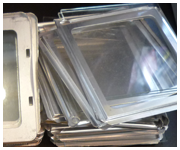 - Special handling fee apply fro removing slide from glass or metal frame. We are unable to scan slides in particular orders such as in chronological or in numerical orders. 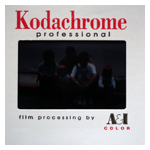 To give you best possible slide scanning result, all slides will be grouped according to their slide types (such as Kodachrome, Ektachrome, Black and White), thickness or mount type (paper, plastic or glass). Because they require different digital setting for slide scanning. We will rotate each slide as best as we can. "Art Work" and Dupe slides. You can change on your computer without damaging the digital quality at all. FAQ about our Slide Scan Service in NY. How long does it take to have my slide digitized? I'm concerned about privacy of my slides. Are you scanning my slides at your studio in New York? Are my slides returned after the scan? Can you scan my slides in a particular order? How big digital files will I get from Slide Scan? Can you scan at higher resolutions? What digital file format am I getting? Can I play my Slide Scan CD/DVD on my DVD player? What types of slide you can scan? Does slide scan service come with money back guarantee? I am concerned about privacy of my slides. We respect your privacy and confidentiality sincerity and deeply. Being in photo business over 25 years, protecting customer's privacy is a part of our daily workflow. To show our sincerity in writing, we have our Confidentiality/Non-Disclosure Agreement Form ready for you. You can download this form, print your (company) name, sign and dated, then bring the form with your work. Let us remind you again that none of your slides will be sent out, they stay with us here in NY. Are you scanning all slides at your studio in New York? All scanning job is done in house. No slides will be sent out. No chance of lost on transit. Your privacy is well kept. All of your slides will be returned after scanned. We are unable to scan your slides in chronological or numerical orders. 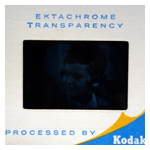 For the best possible scanning result, all slides should be grouped according to types(such as Kodachrome, Ektachrome, Black and White), thickness and mount types (paper, plastic or glass). How big digital files can I get from Slide Scan? Can you scan my slides at higher resolutions ? Please see your options here. What digital file format am I getting on a disc? 24 bit Jpeg files as a basic scanning option. We also offer uncompressed Tiff files. 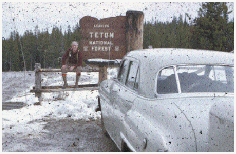 Tiff scanning is a different scanning process from Jpeg slide scanning - details is here. Can I play the slide scanned CD/DVD on my DVD player ? The Jpeg CD/DVD will play on your DVD player as a slide show. Tiff files will not play on a DVD player. Please see here for the slide formats we handle. Can you scan slides in carousels or pages? But we might not be able to scan in the same order as original. Does your Slide Scan service come with money back guarantee? Once the CD/DVD is out from our store, it can be easily copied. As a company policy, we don't accept money back request on any CD/DVD orders. Normal turnaround time is here. please let us know if you are in a hurry or have a dead-on time limit. We try our best to meet your request with or without extra fee. We use Nikon 5000ED with slide feeder or Professional slide scanners with slide tray. LIMIT OF LIABILITY By submitting film, slide tape or other materials to Doi Camera, an order constitutes an AGREEMENT by you that any damages or loss by our company, subsidiary, or agent, even though due to negligence or other fault of our company, subsidiary or agent, will only entitle you to credit for no more than the cost of new roll of film, scanning or converting the same quantity of materials we received. That is, Doi Camera would charge you $90 to scan your slides or converting tapes, the maximum amount of damage you may claim is limited to $90, if a roll of film or negative is lost, it would be replaced to a new blank roll of film, unless otherwise agreed in writing. Doi Camera will not be liable for any other loss or damage, direct, consequential or incidental to the customer’s use of such services. Doi Camea is not responsible for any material left over 14 business days. All the prices quoted are subject change without notice..